John Travolta & Olivia Newton-John first combined their vocal talents on the biggest movie-musical of all time, Grease and their chart topping single You’re The One That I Want. I have heard this song way too many times because my sisters love it and as much as it isn’t really my kind of music, I completely get why it’s popular. Now, almost 35 years later, they’re reunited on a Christmas album of all things! This is another album I saw when I got a press release, did a little laugh then posted on Facebook and Twitter about it to get the inevitable replies from my awesome readers saying “Oh, hey; you should totally review that!” So I thought, why not? It’s November and it’s dark and cold, but thankfully it’s not snowing. I hate snow. There is no Christmas tree yet. There are no pretty lights apart from the ones I see whilst walking through Norwich city centre. Because it’s so early, it feels so wrong to be listening to this. Maybe it will get me into the Christmas spirit. Maybe. I’ll say it now if you hadn’t already guessed; I’m not a Christmassy person. I like the 10 days I get off work and the absurd amount of turkey, bacon and camembert sandwiches I eat but there’s generally only one Christmas album I listen to which is vastly different to this. 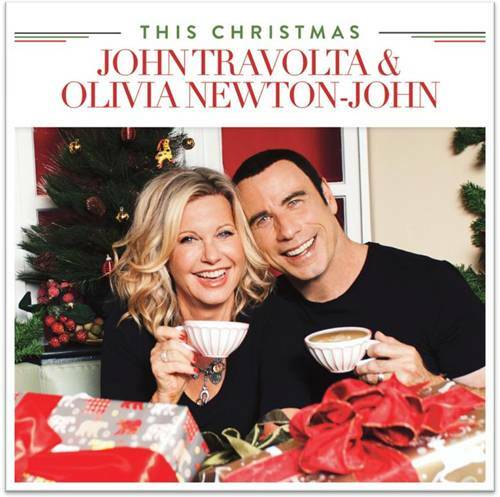 Essentially, this is a collection of traditional Christmas songs with a few guest appearances that are actually really well done. I mean, aside from the amount of money that has clearly gone into the production aspect of this, we’ve also got two people who really can still sing. Yeah, they sound a lot older than they once did but what do you expect? The instrumental aspect of the album particularly hits the spot as it’s nice and jazzy. We do have one brand new song, written by John Farrar who is Olivia Newton-John’s long standing songwriter and that’s the one I really want to talk about as you would’ve heard the rest before. It’s called I Think You Might Like It and I’m not quite sure what to make of it. It’s like a mix between a country song and a Christmas song. I’d be lying if I said I didn’t like it. Y’all are going to lose the little bit of respect you had for me but I don’t care. In all honesty though, it’s a great album for what it is. It certainly beats the hell out of the crap that a lot of modern artists are trying to make classic Christmas songs, along with the covers they’re doing these days. The album is out now and, as I said previously, If you love Christmas, the classic songs and all of the sparkles you should buy it. Me, I just think I’m too rock ‘n’ roll.